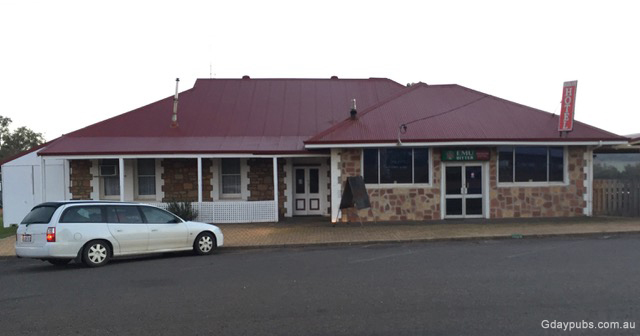 Darkan Hotel Features * Bar * A-la-carte Dining room meals (limited days) Accommodation All rooms 3 twin 2 single, (continental breakfast). Donga's out the back. The town recorded a population of 490 at the 2011 Census. There is a small supermarket in town, but shuts in the early afternoon. The area was originally settled by William John Gibbs and his family in the 1860s. Gibbs established a property called "Darkan", using a local Aboriginal name which means Black Rock. The town grew when the Collie to Narrogin railway line was built, and the town was gazetted in 1906. The railway closed in the early 1990's, but the surrounding productive wool growing and mixed farming area along with tourism have ensured the town's survival.